What's that you say? I wouldn't dare post Nike Air Max 1's 3 days in a row? Say word. 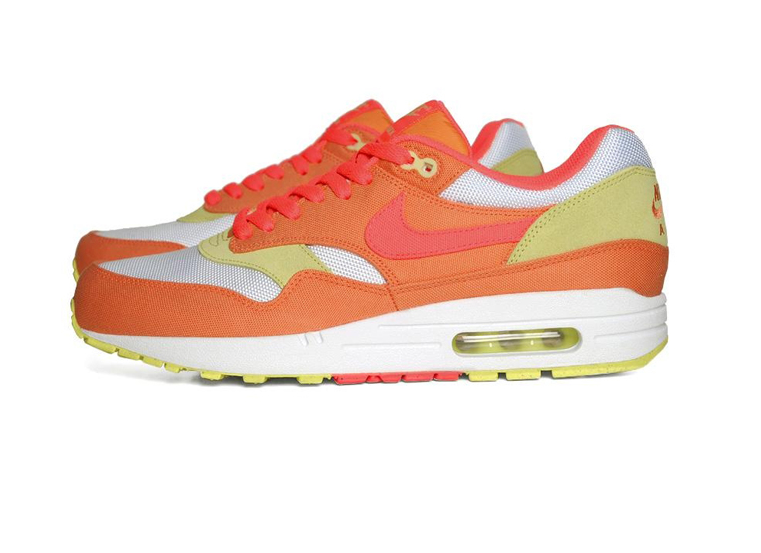 This pair, deemed the "Melon Crush" - falls somewhere in between the daily rock-a-bility of the Black Cement's and the wear every once-in-a-magenta-moon of the Canvas AM 1's. Still pretty bright and out there - but subtle enough that it works for a Sprint/Summer outfit. More pictures of the AIr Max Melon Crush over at Nice Kicks.